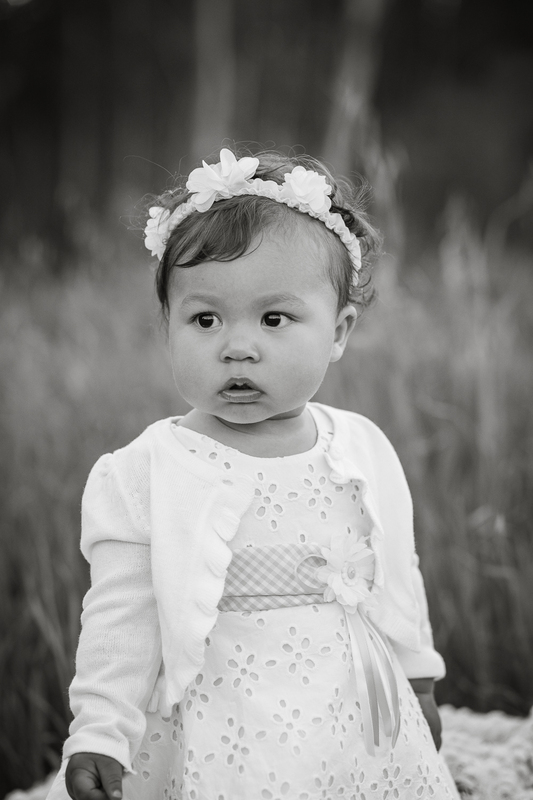 I first met Akira when her mommy and daddy were still dreaming of what she was going to look like. I knew when I did Satia’s maternity photos that she and Jake were going to be amazing parents to their little girl. We walked around the gorgeous Ellwood Bluffs in Goleta and talked about all the fun experiences they were looking forward to as soon to be parents. 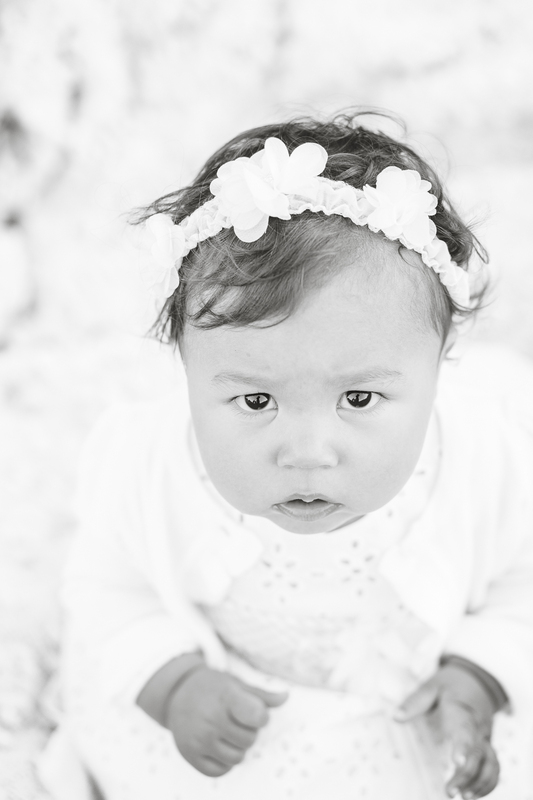 Just a few weeks later sweet Akira arrived and her newborn photos were taken in the comfort of her new home. It was so neat to watch Satia and Jake hold her- they were so gentle, so in love. 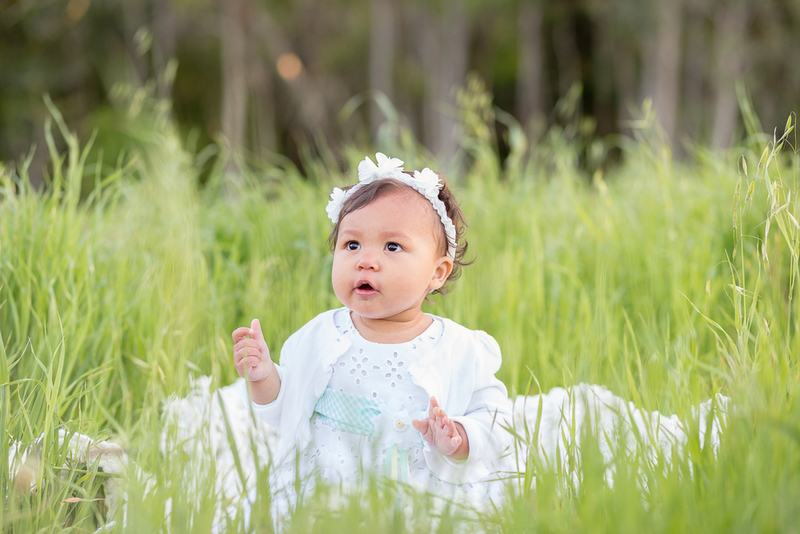 Akira was a great baby for her photos and her newborn shots are still some of my favorite. Fast forward a year and here we are! Akira just turned a year old. I seriously can’t believe it, and I imagine Jake and Satia have a hard time accepting that as well. We started the session back where this journey began- at the Bluffs. Akira wasn’t the little baby I last saw. She’s walking, has tons of personality, and lots of opinions on how things are done. 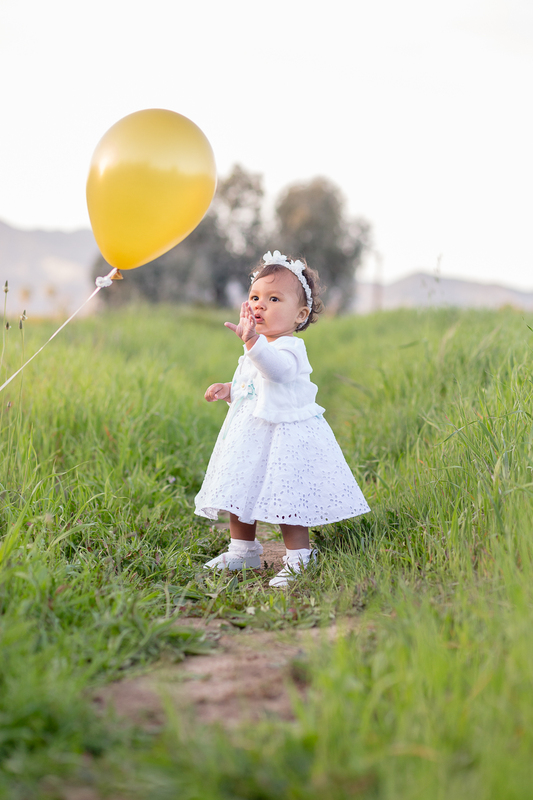 She is a curious little one and was so enthralled by the tall grass and the balloons. We finished the session another day at Haskells Beach in Goleta and Akira was very interested in the sand. She ate it up! Like literally- she ate it. I, of course, had to capture that. 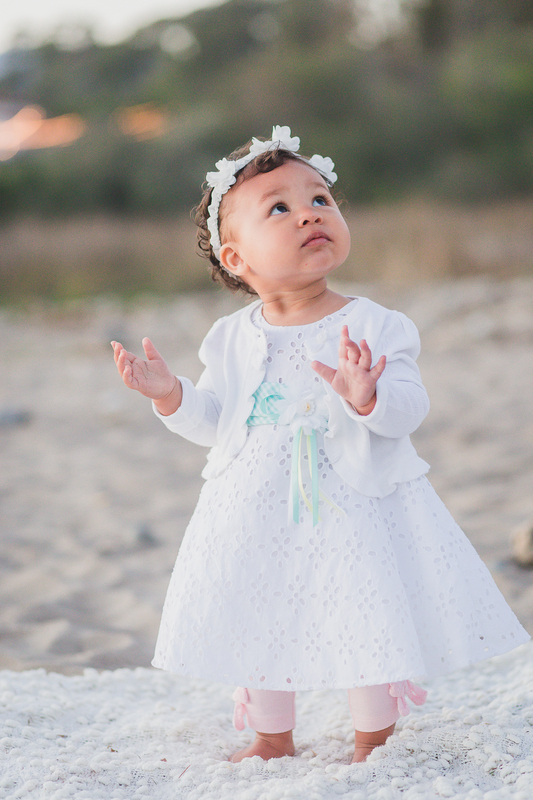 She was absolutely adorable in her white dress and sweater, looking around, watching planes fly overhead, and licking sand off her cute little hands. Satia, Jake, and Akira are the first family I followed through this journey from maternity photos to first birthday and I feel so lucky to have done so. It’s been so fun to watch their family grow and to see Jake and Satia step into their roles as parents. 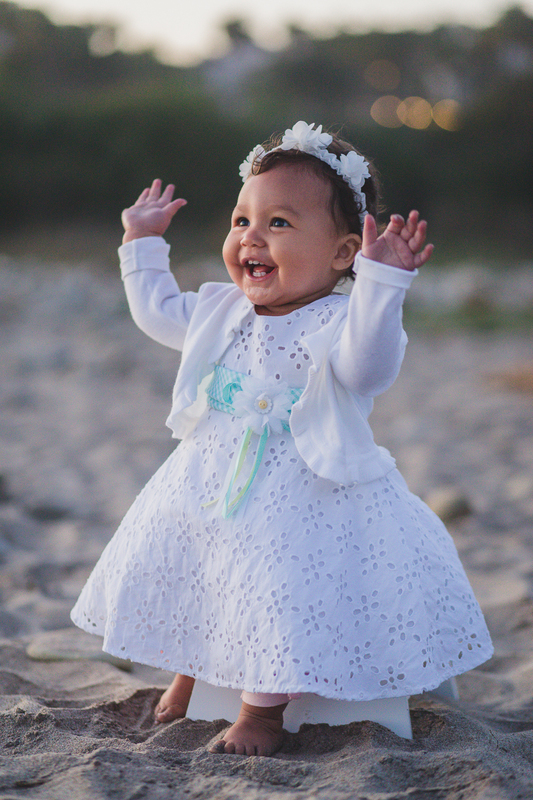 I can tell you this much- Akira Grace has them wrapped around her little toddler fingers- and rightly so! 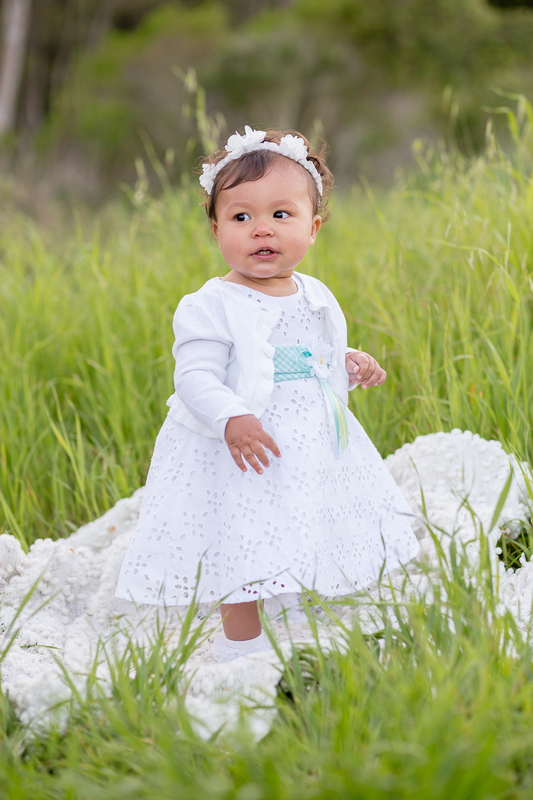 She is just beautiful, like her mommy, and I wish her the happiest of birthdays! Thanks for letting me into your lives!